Kolkata, the part of West Bangal has significance as the cultural capital of India. It is considered among one of the largest urban places of the country. Due to its location above the sea level, the city has a tropical wet and dry climate. The climate of Kolkata is hot and wet during summer while in winter it is mostly cold. Monsoon remains for longer periods and sometimes it badly affects the larger community of the city. The city is the hub of business, commercial and financial matters. 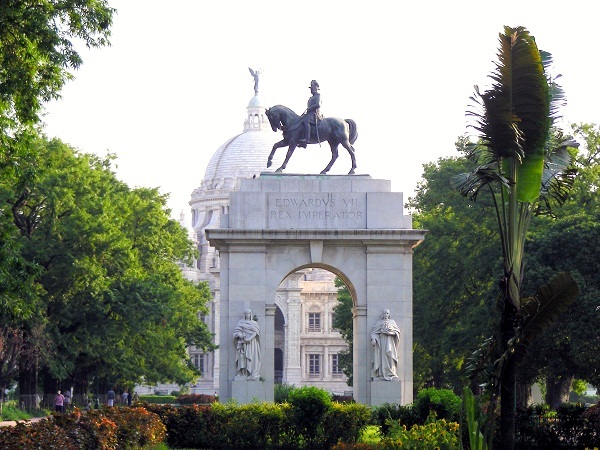 Kolkata is known for its fictional, creative and innovative culture. Kolkata continues to promote its culture through dramas, films, writings and now has a well established film industry. The city has an excellent importance in the freedom process of the sub-continent, as the trend of freedom from the English Raj started from Kolkata. Kolkata features an excellent combination of different people and culture, even several Chinese live here for years. Same is the case with Tibetans and so on. Being a mixture of societies in it, this place has an excellent and delighted environment almost round the year. The best time to discover this wonderful land is from October to April. But there is not any strict rule. Any time you can enjoy the vibrant city and discover this fantastic city with all its perfections. The matchless culture and rich traditions of Kolkata remains ever ready to please its guests anytime. The local inhabitants of Kolkata used to eat rice with different herbs, spices and lentils, but now food habits also took a shift and due to the combination of people the city offered various varieties of food and unique flavors. Now the city is offering Western, Chinese, Indian as well as traditional flavors to its guests in combination with different spices. The glorious beauty of the night definitely delights you if you are looking to be part of this. Get planned and leave your place to just indulge yourself with complete passion and energy in the darkness of Kolkata but never get lost. The weekend night brings so many exciting features for you that are enough to make you laugh, so be there. Many things together are making the city incredible and more enjoyable. For example its great and ancient museum where history is laid down to tell you so much about this place. Do not ever miss this place. This makes you happy as well as let you to get know this ancient and historical place in detail. Similarly, there are various temples, mosques and churches in the city depicting the liberal attitude of the city for diverse religions and faiths. With their superior architectural designs, these places are a source of attraction for the tourists. You can cherish your mesmerizing moments more in Kolkata by enjoying sizzling shopping experience here. Just wander around its traditional markets and shopping malls and enjoy the cost effective shopping. Shezaa Nehal is a passionate professional writer and loves to write about core entertainment areas and unique travelling ideas, tips, adventures and outdoor fun activities like exciting desert safari trips, fishing holidays and yachting journeys etc.